Lorraine Benoit, Peabody High field hockey coach, yells instructions to the players during practice. 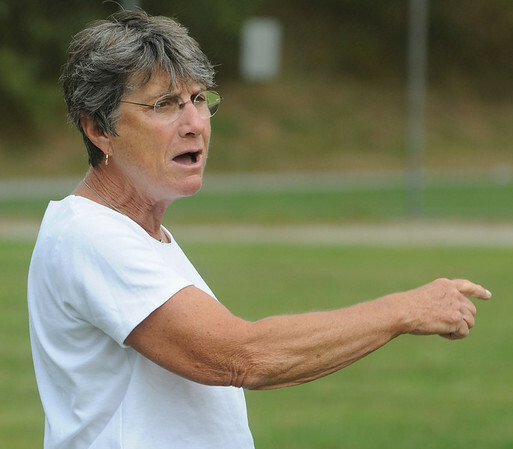 Coach Benoit is in her 40th, and FINAL, season as the head field hockey coach at Peabody. Photo by Ken Yuszkus/Salem News, Thursday, September 9, 2010.